Zeynep, a former student at Brainy Learning Club, saw a 350 pt+ increase on the SAT. Before coming to Brainy Learning Club, she scored 1060 on her SAT. 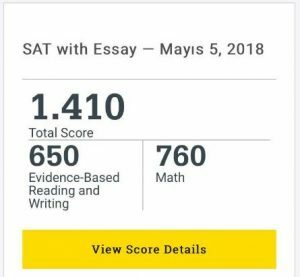 With just 4 hours a week for 5 weeks, Zeynep scored 1410 on her following SAT. Zeynep is one of the many students that have displayed significant score increases with just a few hours here. Like Zeynep, we are determined to help your child achieve their academic potential.